5: What did you do in Math Today? 5. what did you do in math today? 1. WHAT DID YOU DO IN MATH TODAY? If you ask a child "What did you do in math today?" the typical answer will be "I don't know", "Nothing", or the mention of a topic like "Fractions". 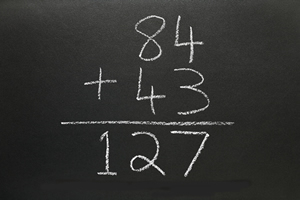 Why are children not coming home eager to share "Mom, do you want to hear what we did in math today?" Perhaps the math they are learning is not that interesting to talk about. Or, perhaps it is not learned in ways that can be talked about with family and friends. Or, perhaps children have not developed skills for sharing good math stories. Over the past several years, I have been spending an average of 50 days each year in elementary school classrooms in Canada and in Brazil, collaborating with teachers to develop better ways of engaging children with mathematics. Our guiding principle has been the question "What did you do in math today?" As we plan lessons we imagine how students would answer this question. Would they be able to share a math story that engages the imagination, that offers mathematical surprise and insight, that connects both intellectually and emotionally? 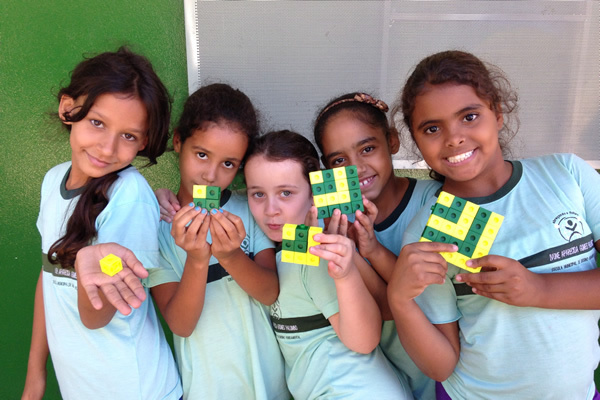 For example, shown on the right is how grade 4 students in Brazil prepared to share the math surprise that "Odd numbers hide in squares!" math experiences that are "worth talking about"
The short video below offers a brief summary of this approach. The math example in the video comes from three grade 3 classrooms, in Ontario, Canada, where students scripted dialogues they might have have at home when asked "What did you do in math today?" there are lots of classroom-tested ideas in this resource to get you started!